A robust onboarding program might require you to link out to different materials, so you can include links directly in your Donut Messages. Sometimes you might need to link out to your company website, information about signing up for benefits, or other materials that are important for your new hires to access and revisit on another site. Adding a link to a Donut Message is simple. Log in to the onboarding dashboard at donut.ai. Go to the Templates tab and select the Template you want to edit. Once you're in the template, click the Message on the calendar you'd like to edit. When editing Messages, you can enter custom text under "What is it." 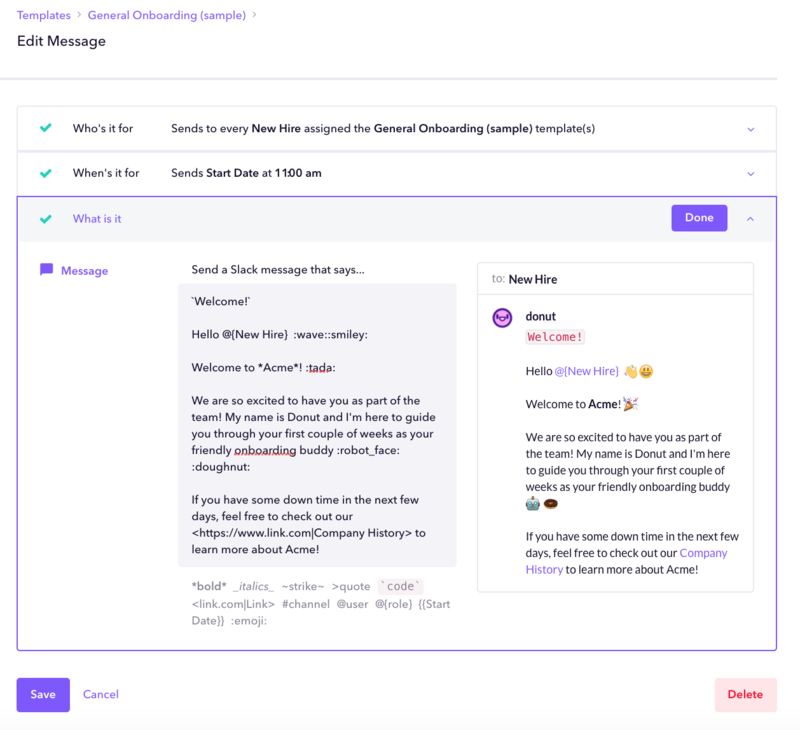 The editor displays a purple text box on the left that allows you to edit the text, with a preview of what the Message will look like in Slack on the right. Once you've added in your custom text and any links you'd like to include in the Message, hit "Save" and Donut will remember your new settings.